The Subaru S209 is a handmade special model with a very limited production number. 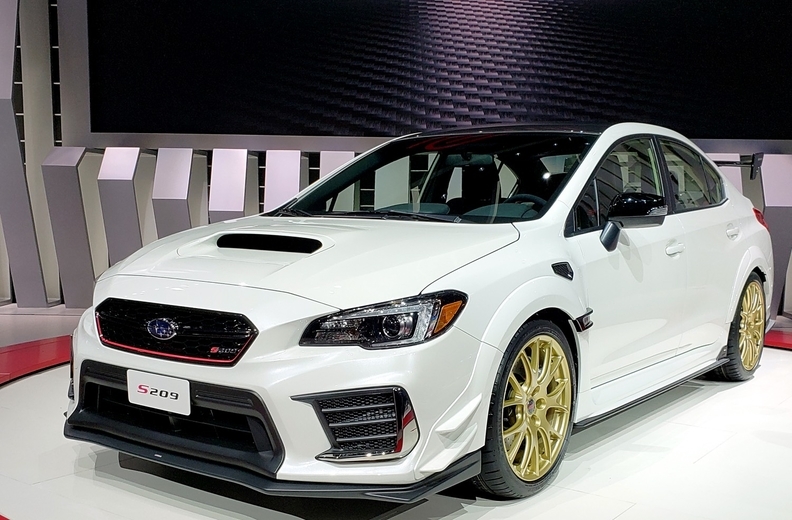 Just 200 units of the Subaru STI S209 will be produced, the most powerful model ever made by Subaru Tecnica International, and every one is destined to be sold in the United States with zero being allocated to Canada. The S209 is the first S-line model ever produced for any market outside Japan, and the brand has decided to make it a U.S. exclusive. “Since the S209 is a handmade special model with a very limited production number, STI has decided it will limit the market to introduce the product at this time to the U.S. only,” Dan Ilika, public relations specialist for Subaru Canada, told Automotive News Canada. The S209’s 2.5-litre Subaru Boxer engine produces 341 hp, and it gets an aggressive exterior treatment with wide fenders, front canards, and a carbon fibre roof and rear wing, a performance-focused chassis with flexible strut tower bar and draw stiffeners, exclusive 19 by 9-inch forged BBS wheels with bespoke Dunlop SP Sport Maxx GT600A tires, and Brembo brakes with new high-friction pads. The car will go on sale late in 2019.